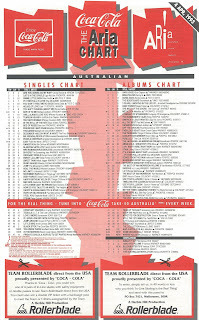 It must be disheartening to release song after song and see them all fizzle out on the chart, so it must come as a huge relief when a single connects with the public and becomes a hit after a string of chart disappointments. 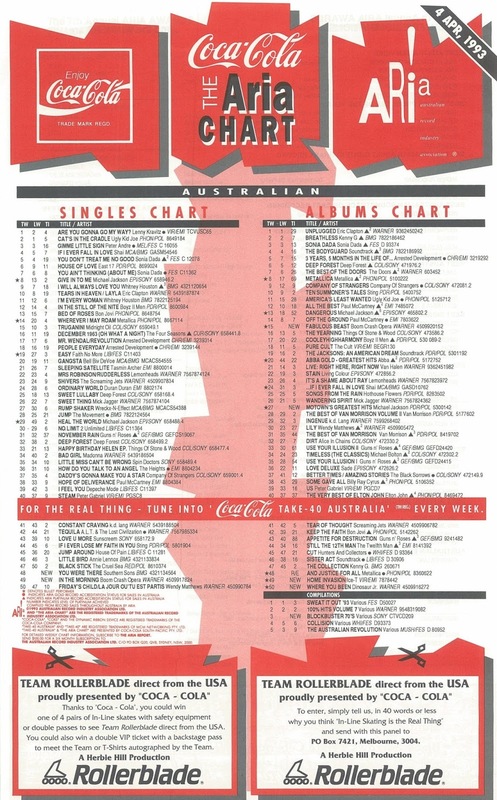 This week in 1993, two Australian pop/rock bands debuted on the ARIA top 50 with their latest songs - in one case, the single became the band's first big hit since 1991; in the other, it was another lacklustre chart performance. Moving up to number 1 this week in 1993, Lenny Kravitz pushed Ugly Kid Joe aside to spend his first of six weeks on top with "Are You Gonna Go My Way". Number 100 "The Sidewinder Sleeps Tonight" by R.E.M. Despite being the jauntiest thing R.E.M. had released in a while - and being backed by their cover of "The Lion Sleeps Tonight", which this song references - this third single from Automatic For The People sank without much of a trace. And no, Michael Stipe isn't singing "calling Jamaica", it's "call me when you try to wake her". Another grunge track (following Alice In Chains' "Would?") lifted from the soundtrack to Singles, "Nearly Lost You" became the only top 100 appearance by Washington state's Screaming Trees. The title track of his ninth solo studio album, "Off The Ground" didn't follow "Hope Of Deliverance" into the top 50. We wouldn't see Paul McCartney in the top 100 for another four years, when he released his 10th album. As the lead single from David Bowie's first new solo studio album since 1987, "Jump They Say" received a lot of attention. The Nile Rodgers-produced track, however, became his first album opener to miss the top 50 since the 1970s. 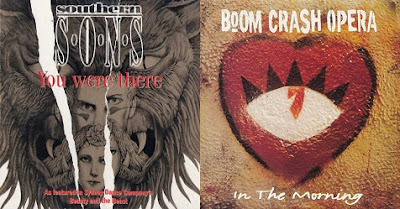 What exactly was it going to take for Boom Crash Opera to land another decent-sized hit? That must be what the band were asking themselves as yet another of their singles landed in the lower half of the top 50, although at least "In The Morning" managed to return them to the top 40 for the first time since mid-1990. Released to coincide with their third album, Fabulous Beast, the uplifting, sing-along tune was every bit as good as classic BCO songs like "Hands Up In The Air" and "Onion Skin", but perhaps in a world swept up by grunge, such feelgood songs no longer had a place? There was clearly still demand for a big, weepy rock ballad, with this latest hit by Southern Sons proving that sometimes it's best to stick with what people want from you rather than trying to change your sound too much. With its minimalist production and soaring vocal from Jack Jones, "You Were There" became the band's first top 10 hit since the similarly styled "Hold Me In Your Arms" two years earlier, and constituted a massive return to favour since their previous single, "Can't Wait Any Longer", missed the top 100 completely. What impact the inclusion of the song in the Sydney Dance Company production of Beauty And The Beast had on sales, I'm not sure, but it was a nice additional selling point for the song. Next week: two of the biggest soundtrack hits of the year - one from Disney's latest animated film and the other from TV's coolest teen drama. Another week with all male-vocal artists debuting. No wonder I thought '93 was a bit of a dud year, chart-wise, at the time. I don't think I'd ever watched the 'The Sidewinder Sleeps Tonight' video before. Not having a clue what the chorus lyrics were, I thought it was maybe "comin' in Ty Baker" (?). I've never heard 'Off the Ground' before. David Bowie was one of those artists I was aware of, but couldn't really name any songs he sung in '93. A school friend (in another form) did a biography assignment on him (my class didn't have to do that), and we both couldn't name any of his songs. Despite me knowing 'Let's Dance', 'China Girl', 'Ashes To Ashes' and 'Dancing in the Street', he hadn't had any hits in the years since I'd been following charts, other than 'Fame 90' (sort of). So 'Jump They Say' was really the first Bowie track I was consciously aware of being by him. I don't mind it. If my memory is correct, it's about his brother committing suicide. I wasn't really enamoured by either the Boom Crash Opera or Southern Sons songs, but they were OK. Pride. In the name of love.